The Islamic State of Iraq and the Levant – Sinai Province (ISIL-SP, Wilayat Sayna) is a branch of the Salafi jihadist group Islamic State of Iraq and the Levant (ISIL), active in Egypt's Sinai Peninsula. 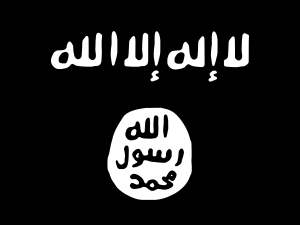 The group was formed on 13 November 2014 after the Sinai-based Ansar Bait al-Maqdis (ABM) pledged allegiance to ISIL. During 2014, Ansar Bait al-Maqdis sent emissaries to ISIL in Syria to seek financial support, weapons and tactical advice. On 10 November 2014, many members of ABM took an oath of allegiance to Abu Bakr al-Baghdadi, the leader of ISIL. It adopted the name Sinai Province and has since carried out attacks, mostly in North Sinai, but also in other parts of Egypt. While the group has killed hundreds of Egyptian security personnel, it has also been responsible for attacks on civilians, including the killing of Croatian engineer Tomislav Salopek. On 1 July 2015, the group launched a large scale assault in and around the Sinai town of Sheikh Zuweid, eventually being driven back by Egyptian security forces after at least 100 militants and 17 soldiers were killed in the fighting. According to Brian Fishman of the New America Foundation, the tactics used by the attackers - suicide bombers backed up by direct and indirect fire, mortar fire in combination with small arms, and simultaneous assaults in multiple locations — suggested a transfer of knowledge from ISIL fighters in Iraq and Syria. 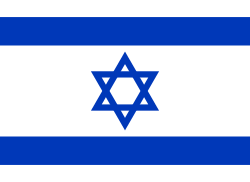 The group claimed to have shot 3 grad rockets from Sinai to southern Israel near the Gaza Strip. Two rocket hits were confirmed in Eshkol. No one was injured and no damage was made. On 16 July 2015, the group claimed responsibility for launching a rocket attack at an Egyptian Navy patrol boat along the northern coast of Sinai and close to the Gaza Strip. The group claimed responsibility for bringing down Russian aircraft Metrojet Flight 9268, carrying 224 passengers. It was flying to Saint Petersburg from Sharm-el-Sheikh on 31 October 2015, when it broke up over Hasna (Egypt), killing all on board. Data obtained from the airplane black boxes gives credence to the idea that there was a bomb attack. On 17 November 2015, Russian President Vladimir Putin confirmed that a bomb attack brought down the aircraft. One of the group's leaders, Ashraf Ali Hassanein Gharabali, was shot and killed in a shoot-out with Egyptian security forces in Cairo on 10 November 2015. The Egyptian Interior Ministry linked Gharabali to a string of attacks including an assassination attempt on the Interior Minister. ↑ "Egypt says top terrorist in ISIS-linked group killed in shootout". CNN. CNN. Retrieved 10 November 2015. 1 2 3 "Sinai Province: Egypt's most dangerous group". BBC News. Retrieved 3 October 2015. ↑ "Designations of Foreign Terrorist Fighters". State.gov. 2015-09-29. Retrieved 2014-09-29. ↑ "Islamic State leader urges attacks in Saudi Arabia: speech". Reuters. 13 November 2014. ↑ "Islamic State Sprouting Limbs Beyond Its Base". The New York Times. 14 February 2015. Retrieved 30 March 2015. ↑ "Militant Group in Egypt Vows Loyalty to ISIS". New York Times. 10 November 2014. Retrieved 23 November 2014. ↑ "Egypt jihadists vow loyalty to IS as Iraq probes leader's fate". AFP. 10 November 2014. ↑ Loveluck, Louisa (2015-08-12). "Isil claim to have beheaded Croatian hostage in Egypt". Telegraph. Retrieved 2015-08-29. ↑ "Islamic State attack in Egypt's North Sinai kills more than 100". Reuters. 1 October 2015. Retrieved 1 July 2015. ↑ "Jihadist Attacks on Egypt Grow Fiercer". The New York Times. 2015-07-01. Retrieved 2015-10-02. ↑ "IS-linked Sinai terrorists claim latest rocket fire". The Times of Israel. Retrieved 3 August 2015. ↑ "ISIS carry out rocket strike on Egyptian navy patrol boat in the Mediterranean". Mail Online. ↑ "Russian plane crash: Isil claims it 'brought down' airliner that crashed in Sinai with 224 people on board - latest news". The Telegraph (uk). Retrieved 31 October 2015. ↑ "Russian plane black boxes point to 'attack', Putin halts flights". AFP. 6 November 2015. Retrieved 6 November 2015. ↑ "Putin Says Sinai Plane Crash Was Caused by Terror Attack". Bloomberg. 17 November 2015. Retrieved 17 November 2015. ↑ "Egypt police kill leading ISIL operative in Cairo - World Bulletin". World Bulletin. Retrieved 2015-11-10. ↑ "PressTV-Egypt police kill top Daesh operative". www.presstv.ir. Retrieved 2015-11-10. ↑ "Egypt kills top Islamic State operative in Cairo, says interior ministry". Telegraph.co.uk. Retrieved 2015-11-10.